Loop will certainly take us to infinity. With a modern touch in an ever-lasting product, Loop Candle Snuffer is born. Safe, practical and functional... blowing out the candles is now a style process! 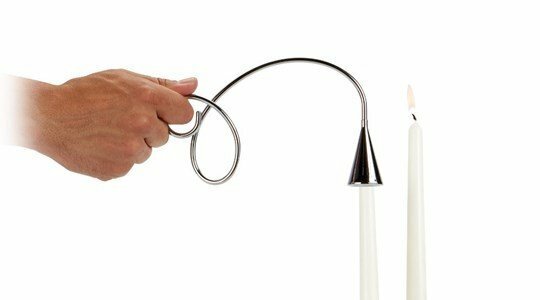 This candle snuffer allows you to safely extinguish your candles without blowing wax and smoke everywhere. The perfect match for your Loop candle holder.